Now it brings a different image: of Islamic jihad and men armed with Kalashnikovs, and of secret meetings of Muslim youth plotting a new attack against the West. The country is in lockdown today, facing what authorities believe is an "imminent attack." On Sunday, police raided 19 homes in and around Brussels, and made 16 arrests. Brussels continues to be the focus of their action. There is good reason for this. The Nov. 13 massacres in Paris, we've since learned, were planned in the Brussels district of Molenbeek, sometimes called "little Morocco" for its large Moroccan immigrant population. The attack on Charlie Hebdo also was planned there, along with the foiled attack on a Thalys high-speed train between Brussels and Amsterdam. Mehdi Nemmouche, who killed four people at the Brussels Jewish Museum in May 2014, spent time there. But it isn't only Molenbeek, and it isn't only recently. 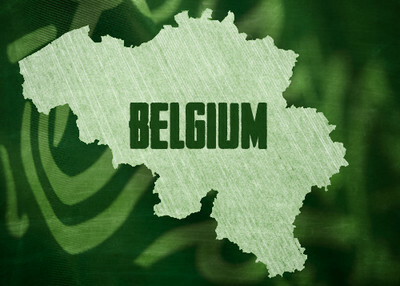 Belgium has been a hotbed of radical Islam for more than a decade, breeding organizations like Sharia4Belgium – one of the most influential "Sharia4" groups globally – and the now-defunct Arab European League (AEL). The goal of the AEL, founded by the Lebanese-Belgian Dyab Abou Jahjah in 2001, was to form a "sharocracy" in which sharia and democracy ruled together across the West. The organization was based in Antwerp, where Jahjah and his friends also celebrated the attacks of 9/11 with laughter. "We couldn't hold our joy," he recalled later in his autobiography. Other signs of radicalism, also connected to Jahjah, soon followed; in 2002, Jahjah helped orchestrate riots in Borgenhout, outside of Antwerp. And in 2004, after establishing a Dutch arm of the AEL, he declared, "I consider every death of an American, British, and Dutch soldier a victory." Jahjah was hardly alone. By 2006, Belgian journalist Hind Fraihi, herself a Muslim, discovered that books teaching Muslims to fight infidels were being freely distributed by radical imams who preached jihad in local mosques. Other books she found in Belgium included Guide For Muslims, a Dutch publication that encourages Muslims to throw homosexuals from tall buildings and to beat their wives. A Washington Post profile of Fraihi cited other books she found, including some that "advised readers to learn to communicate in symbols and secret code, and offered tips on how to do that." But the largest influence on Belgian Muslims, and the source of much of their extremism, was the creation of Sharia4Belgium in 2010. Thanks to that group, Belgium boasts the largest number of Muslims per capita who have joined the Islamic State and its jihad. According to the Wall Street Journal and others, "dozens" of Sharia4Belgium members have made the pilgrimage to Syria, and dozens more have been detained before they could make the trip. Three of them, all women, were arrested in May 2014, around the time of the Jewish Museum shooting. They were part of a larger group of 40 Belgians planning to join the jihad, and most of them had Sharia4Belgium ties. This should not have been surprising. By 2012, Belgium's security service director Alain Winants determined that "radical Islam forms the greatest threat" to the country. Salafism, he told Belgian daily de Morgen, is gaining followers who have built up a parallel community with its own values, its own banks, justice system, and educational program. Sharia4Belgium's founder, Fouad Belkacem, was tried and convicted in September 2014 for supporting terrorism, along with dozens of other Sharia4Belgium members, some of whom are still on the Syrian battlefields. But by then it was too late. The group, with its active Dutch- and French-speaking recruiters in Belgium, France, the Netherlands and – most of all – the Internet, had already infiltrated the minds of untold numbers of other Belgian youth. This is due in part to limits of Belgium's intelligence facilities. While German intelligence, for instance, is currently stretched to its limits trying to track potential terrorists, Der Spiegel reports that Belgium's threat has long since exceeded the its own intelligence capabilities. Indeed, according to Dutch NOS TV, "the central counterterrorism unit of the [Belgian] police department has only one employee tracking radical [Islamic] activity on the Internet. And she only works part time." The result, notes Der Spiegel, is that "many Muslims who have become radicalized or received military training and may even have been traumatized are returning home from Syria without anyone checking on them whatsoever." Moreover, Belgium's disorganized police system – with six authorities for 19 districts in Brussels alone – coupled with a chaotic government and the European capital's convenient location at the midway point between Amsterdam and Paris –combine to help French and Dutch Islamists take refuge there. Two of the Paris attackers, the French-born Bilal Hafdi and Brahim Abdelslam, were among them. As recently as last month, an exploratory committee determined that Belgian police had failed to notice, let alone monitor, a "jihad camp" set up by Kurdish PKK members and Sharia4Belgium in the Ardennes. But the truth is, the country's "capabilities" are only part of the problem: political timidity and correctness carry a good share of the blame. Suspicious behaviors are too often overlooked for fear of being called "racist," Alain Winants told de Morgen in 2012. That viewpoint has since been echoed in Belgian editorials since the Paris attacks, with journalist Luckas Vander Taelen noting that Molenbeek's mayor had once called a journalist "Islamophobic" for reporting on the radical Islamic books being distributed there. "There are no problems here," the mayor insisted at the time. Since the Nov. 13 attacks, however, Belgium has rounded up dozens of jihadists, with nine raids leading to nine arrests on Thursday preceding Sunday's additional raids. The speed with which these terrorists were located suggests that authorities were aware of them prior to the events in Paris. So why weren't they captured earlier? Was it a matter of incompetence? Or a kind of narcissistic concern over image, a fear, as Winants suggests, of being seen as "racist?" Hopefully, Belgium has now learned its lesson. The fight against terrorism is not a popularity contest. It's a contest we fight for our lives.